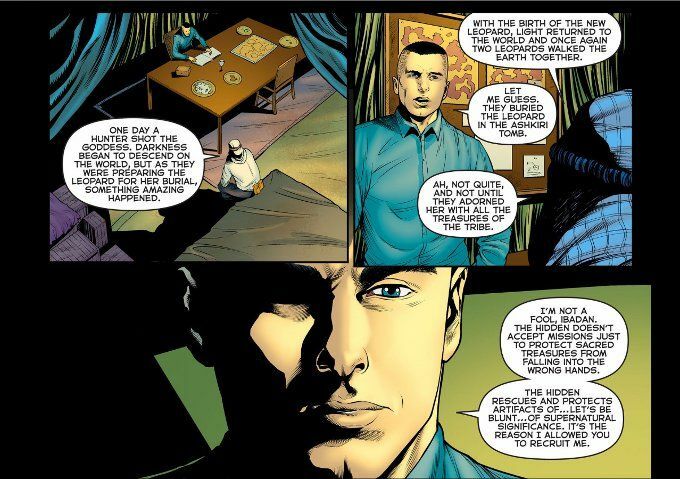 Faced with his former lover Lourdes, Malcolm Merlyn continues his tale of how he came to abandon the group called The Hidden. It was his first step on a winding road. One that would lead to his eventually joining the League of Assassin! John and Carole E. Barrowman have built a rich mythology for this story. Unfortunately, this issue is light on action and heavy on exposition, which may prove disappointing for many Arrow-heads. Still, Indiana Jones fans may be pleased by the attention to detail in the story. And the artwork is still as amazing as ever.